Finally happily managed a Semi: Beretta A300 12g, a real surprise! Beretta, like Browning have an excellent reputation for delivering quality shotguns at price ranges from the very top of the tree to the far more affordable yet to many, as desirable and heavily competitive sub £2000 ranges. That said, the one area I have always avoided exploring from either, is the Semi automatic range which so many others hold in such high regard. The reason being is twofold, my Father never thought much of them as some of our early shooting was driven and I always thought they’d be difficult for me to load and hold safely. One afternoon in late January, due to an amazing set of circumstances, leaving me without a gun yet with a brand new clay trap to play with, I had to bite the bullet and change my opinion. 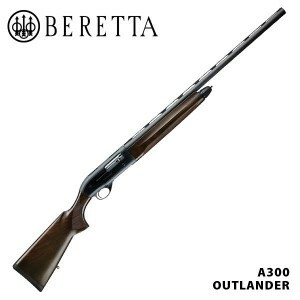 I had the option of either borrowing my Father in Laws Beretta A300, or a trip to the Supermarket. One split second and a wise choice made, I’d see if I could us it! Having not held a semi auto since the 80’s and my Dad carefully explaining to my brother and I why they could take your finger off if you loaded them wrong (not that that applies to me), I was intrigued by what I found and my reaction to it. The A300 was something to behold. To my eye, biased by having the mantra that a double barreled shotgun was the only thing to use in any situation, the look was very much practicality over beauty. Certainly rugged and purposeful, with quality blacking to both the receiver and 28” steel proofed barrel topped with a vented game rib, offset by the handsome aluminum alloy of the ejection and loading ports the A300 made an impression. Coupled with a not unattractive wooden stock giving a 14 ½” length of pull and well stippled semi pistol grip along with matching fore end, concealing the magazine tube and multi choked, the gun was clearly sleek in look. Finally the most crucial part for me was the attractively slopped polymer trigger guard where I grip with my lead hand. If it didn’t grip enough with a shooting glove to give me adequate swing, then this test was going to be over quickly! As a complete novice in the world of the semi, I had nothing to compare the A300 to and a lot of ‘norms’ to break down, in order to give it a fair chance. Firstly came the loading. Most of you who have seen me load, know that I use a Speed Loader Swift, adapted so that it fits through a watch strap, giving me a fast, safe and simple two cartridge loading system from a cartridge belt, keeping up with others without the need for any assistance. 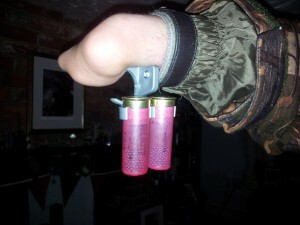 This style of readily available cartridges and simple loading would need to change, but I found that with practice and whilst sitting down, insertion of cartridges in to both the loading port and the third in to the ejection port straight to the 3” magnum chamber, was a simple task to master and would readily be suitable to the A300’s main purpose, in a hide or roost shooting. So, with the reassuring clunk of the closing charging handle as I pressed home the bolt release, the A300 and I were ready to try our first clay. Although having had a few practice swings, I always find the first time you prepare to fire a gun, you are more acutely aware of how things are than when practicing. The A300 was light, nimble coming in to the shoulder but well balanced, with the centre of balance just forward of the trigger guard. 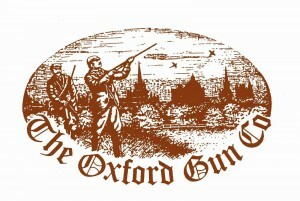 The gun reacted well to my unorthodox leading hand and swung with a purposeful grace that was easy to control and steady in coming on to the bird. The trigger weight was affirmative yet not forceful and the firing cycle and recoil were both smooth and predictable, with a positive ejection of the 28g cartridges. In short, I was delighted with how it all came together and left a positive, rewarding feel. Over the next 70 shots I tried, I really came to like the Beretta and the semi auto feeling in general. The third shot wasn’t needed today on clays, but can see the benefit in the hide and loading as mentioned, was a struggle until seated but again, would no problem on the pigeons. One real boon with the semi automatic, was the fact that no matter what load I tried, and tried everything from a 24g to a 34g cycling perfectly, the recoil was minimal. I was amazed that I could fire shot after shot and feel so little in my shoulder and more surprisingly, without my trusted shoulder pad. Normally I would be in considerable discomfort, but nothing, it was great! My only gripes and some are unique to me but may prove of interest by way of observation were small but should be mentioned. Firstly, the safety catch, it wasn’t that it wasn’t good or fit for purpose; it was more that it just didn’t fill me with confidence. Maybe the fact that it was a simple push button or maybe it was that I knocked it on a few times while firing s a result of the recoil, causing me to be unable to take the second shot, I just didn’t get on with it. Secondly I’m not a lover of not being able to see what’s in the barrel. I am probably overzealous but have seen people pull the trigger of a supposedly unloaded air gun, to find it was in fact the opposite and I feel that although in an ideal world it never would, I didn’t fully trust the fact that it wasn’t able to break. Daft but true I’m afraid. Lastly, for me and only me, I found the angle of the front of the elegantly flowing trigger guard a little unsteady to grip on and would have preferred a trigger guard with a much steeper angle! If those three minimal points are the only negatives I can find then I think that says enough about my thoughts on the Beretta A300! It’s a work horse, you’ll never take it to a driven day, but you were never meant to. It’s everything you would hope for and expect in terms of reliability and ease of use and when you connect with it the feeling of satisfaction is immense. I’ll report back as soon as i the chance to try it in a hide, but so far, so impressed. As for value for money, at £820.00 new from Greenfields in Salisbury, it really is impressive as I recon in 50 years time, it will still be going strong.